Journalist, consultant & author of Brilliant on helping people understand how we learn & how we can do it better. Most of us assume that intelligence is immutable, set by our genetic inheritance or by our upbringing. In this talk, based on Annie Murphy Paul's forthcoming book, she explodes that myth by revealing the impact of the microenvironment: the context in which we use our minds at any given moment. Over the past two decades, evidence has been growing that the microenvironments in which we learn and work exert a powerful influence on the expression of our intelligence. From the physical postures we assume to the amount of sleep and exercise we get; from the way we take in new knowledge to the techniques we use to commit material to memory; from our reaction to mistakes to how we handle distractions; from the information we glean from classmates and coworkers to the roles we occupy in our organizations: the situations we create (or find ourselves in) can evoke or suppress intelligent thought and behavior. Through painstaking laboratory experiments—and through real-world field studies involving Tibetan monks and videogame designers, neonatal care nurses and racetrack bettors, Julliard-trained pianists and Air Force aviators—cognitive scientists and psychologists have arrived at a revolutionary insight: by carefully structuring the situations presented by our schools and workplaces, we can deliberately evoke intelligence—from ourselves, and from our children, students, and employees. This talk provides the groundwork for a new way to be smart. 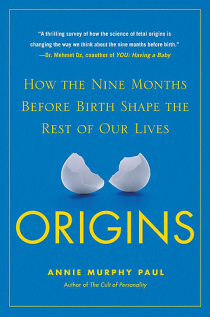 Science writer Annie Murphy Paul calls it a gray zone between nature and nurture in her book Origins, a history and study of this emerging field structured around a personal narrative -- Paul was pregnant with her second child at the time. What she finds suggests a far more dynamic nature between mother and fetus than typically acknowledged, and opens up the possibility that the time before birth is as crucial to human development as early childhood. Annie Murphy Paul is a book author, magazine journalist, consultant and speaker who helps people understand how we learn and how we can do it better. A contributing writer for Time magazine, she writes a weekly column about learning for Time.com, and also blogs about learning at CNN.com, Forbes.com, MindShift.com, PsychologyToday.com and HuffingtonPost.com. She contributes to The New York Times Magazine, The New York Times Book Review, Slate, and O, The Oprah Magazine, among many other publications. 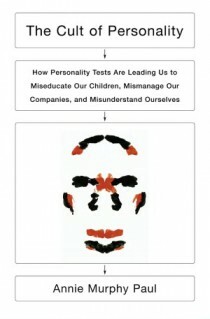 She is the author of The Cult of Personality, a cultural history and scientific critique of personality tests, and of Origins, a book about the science of prenatal influences. Her latest is Brilliant: The Science of How We Get Smarter.